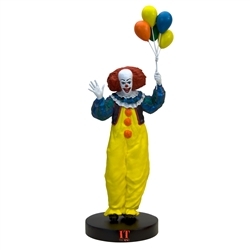 A highly detailed Premium Motion Statue of Pennywise from the classic movie. Tim Curry’s likeness of the sewer dwelling clown is hauntingly immortalized in this 15” tall recreation of the character as seen in the popular roadside scene where he waves while holding floating balloons. 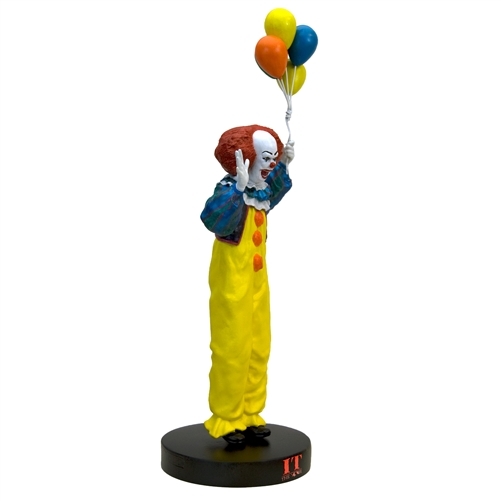 Best of all, this statue features audio of your favorite lines from the film.